The Alpha a6000 is part of Sony’s latest generation of mirrorless cameras that are extraordinarily well-liked for their small size and impressive image quality. When choosing lenses for the a6000, the two kit options will get you out the door and shooting photos in no time, and there a number of other E-mount prime and zoom lenses that offer superior optics. In particular, the primes from 19mm to 60mm below are nice values. Keep in mind when evaluating lenses that the Sony a6000 has 1.5x crop factor, and to make things easier we’ve listed the equivalent focal length on a 35mm full-frame camera in the specs. What we like: Versatile and light. What we don’t: Distortion and softness, particularly at the wide end. 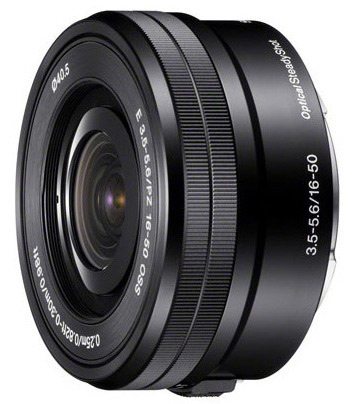 The Sony 16-50mm Power Zoom is sold in a kit with the a6000, and many people choose to go this route. The 16-50mm is very compact—similar to a pancake lens when powered down—and versatile for travel and everyday use. Optical performance is decent overall but weakest at the wide end where there is noticeable distortion and softness. It performs best from about 20mm on, so those who frequently shoot landscapes and other wide-angle photos should consider adding one of the wide-angle lenses below. What we like: Lightweight and good optics. What we don’t: Low light performance with a maximum aperture of f/4.5. If you get the 16-50mm kit lens above, it makes a lot of sense to add the Sony 55-210mm telephoto zoom for a complete set-up. Taken together, the two lenses have you covered all the way from wide-angle to telephoto at an equivalent of 24 to 315mm. 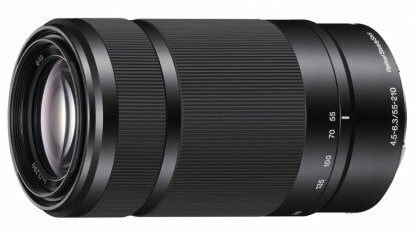 The 55-210mm lens is sharp throughout its range and comes with Sony’s OSS image stabilization technology. And given that it sells for $348 on its own, it’s a good value at about $150 with the two-lens kits. What we don’t: Bulky on the Sony a6000. We have mixed feelings about all-in-one lenses: they are extremely convenient and can serve as the only lens in your bag, which is great for travel and walking around. They don’t, however, excel at any particular focal length like a purpose-built lens. The Sony 18-200mm f/3.5-6.3 OSS does capture sharp images and comes with OSS for when natural light is low. It also focuses quickly and is faster than the 55-210mm above. The lens is somewhat heavy at over 18 ounces, particularly on a lightweight body like the Sony a6000, but that’s normal for an all-in-one lens. What we like: Impressive image quality. What we don’t: Expensive and there aren’t many other E-Mount options. 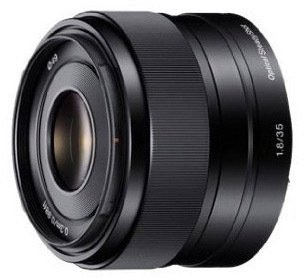 The pricey Sony 10-18mm f/4 OSS is the top wide-angle zoom lens for Sony E-mount cameras. This lens is sharp, has minimal distortion, focuses quickly, and weighs only 7.9 ounces, which is considerably lighter than comparable lenses for digital SLRs. We don’t love the maximum aperture of f/4, but it does have Sony’s OSS image stabilization to help offset camera shake. Another wide-angle prime for the a6000 is the Zeiss Touit 12mm f/2.8, which is a nice lens but also getting up there in price. What we like: The best E-mount travel lens for the a6000. What we don’t: Double the price of the camera. For those who can afford it, the Sony 16-70mm f/4 OSS is our favorite lens for the Sony Alpha a6000. You can buy the camera body, add this lens, and you’ll have superb image quality from 24-105mm for everything from landscape shots to portraits (this a terrific travel option). This long name is a result of Sony’s partnership with Zeiss, which is most obvious in the T* coating that results in great clarity and color. The obvious downside of this lens is its cost, which brings you to around $1,500 total for the camera and lens. What we like: A great value at under $200. What we don’t: Roughly double the height of the Sony 20mm f/2.8. 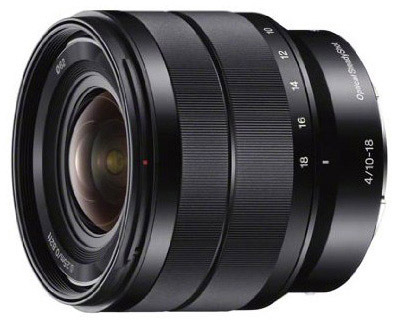 You have two lens options in this focal length range: the Sigma 19mm f/2.8 and the Sony 20mm f/2.8. Both lenses are lightweight, sharp, focus quickly, and have the same maximum aperture. 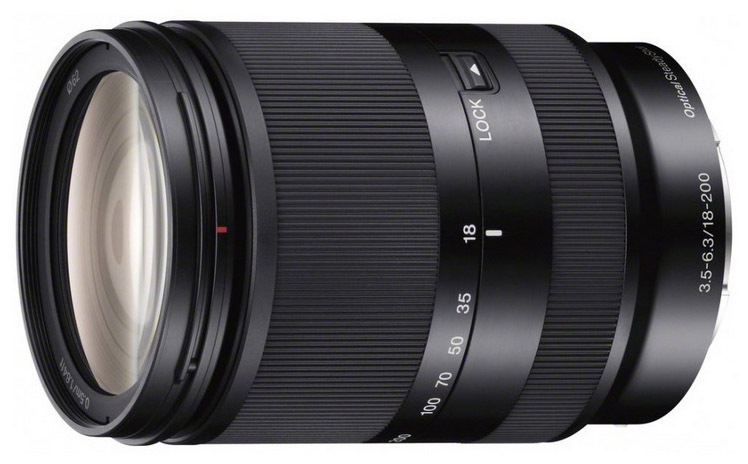 We prefer the Sigma simply because it’s about $150 cheaper. The ridiculously low profile of the Sony 20mm is nice—it's less than 1-inch thick and only 2.3 ounces—but the Sigma is no slouch at 1.8-inches and 4.9 ounces. If the physical difference is important to you, grab the Sony. 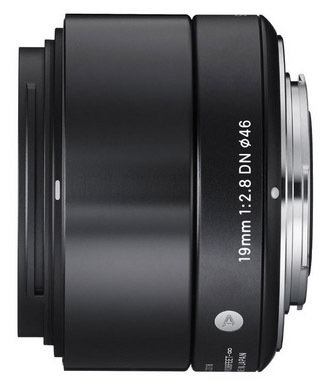 Otherwise, the Sigma 19mm f/2.8 is a better value. What we like: Sony’s leading E-mount portrait lens. What we don’t: 50mm lenses usually are cheap, but not this one. 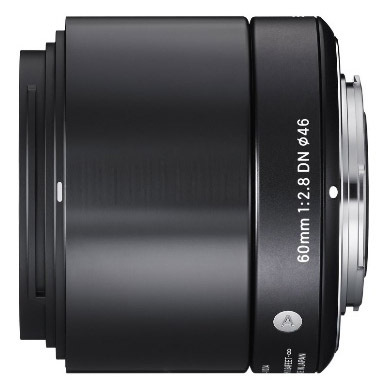 The 35mm f/1.8 is Sony's leading portrait lens for its E-mount series cameras with an equivalent focal length of 52.5mm. This lens is sharp, performs well in low light, and has OSS image stabilization, making it a great option for those who frequently shoot portraits. It’s true that this lens is expensive compared to the 50mm DSLR lens options from Nikon and Canon, but that’s not uncommon in the mirrorless world. 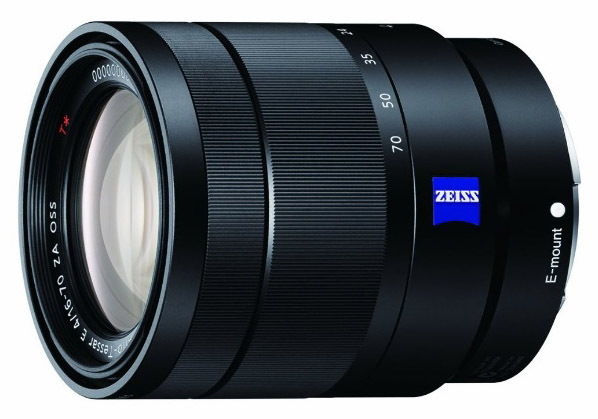 The Zeiss Touit 32mm f/1.8 is even sharper but too pricey for our taste. What we like: A better price point than the Sony 35mm above. What we don’t: Autofocus can hunt on occasion. The Sony 50mm f/1.8 is one of the best values of any E-mount lens—it’s sharp all the way to the corners and strong in low light with a maximum aperture of f/1.8. One consideration is that the focal length, which is equivalent to 75mm equivalent on a 35mm camera, has specific uses including close-up portraits and head shots. It’s great for kids and people photos, but it’s not necessarily an ideal travel or walk-around lens. 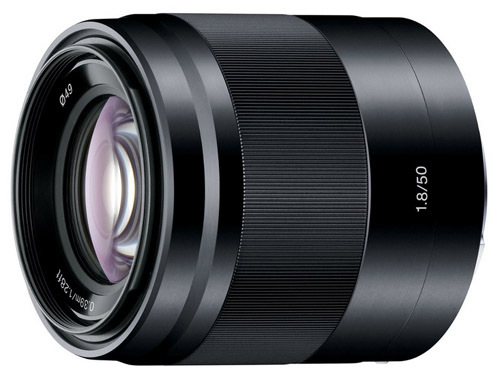 What we like: One of the sharpest lenses on this list. What we don’t: No image stabilization. With impressive optical performance and a low price tag, there’s not much to dislike about the Sigma 60mm f/2.8. This lens is best suited for close-up portraits with a focal equivalent of 90mm, and does everything relatively well. It’s sharp, focuses quickly, and can produce a shallow depth of field and good bokeh. One consideration is that the lens does not have image stabilization, but you won’t need it often with a maximum aperture of f/2.8. What we like: Lightweight for a telephoto zoom. What we don’t: Low light performance. There are few E-mount lens choices at the telephoto end of the spectrum, and this model has the farthest reach at an equivalent of 315mm (second is the 18-200mm above at an equivalent of 300mm). The Sony 55-210mm OSS is listed above as part of a two-lens kit above, or you can buy it on its own for around $350 (it’s a much better value at part of the kit). The only thing to complain about here is low light performance with a maximum aperture of f/4.5, but you do get OSS image stabilization. Perhaps we will see a faster E-mount telephoto lens down the road, but until then the 55-210mm does just fine.